Ever wondered where bingo came from? Here’s a Quick History of the Bingo Games! Basement church, smoky atmosphere, elderly, admit you have this image in mind! Indeed, we often associate bingo with elderly people – being the favorite pastime of the senior citizens because it is easy to play and fun. PCH Bingo – But the history of bingo is much more older than we think! In fact it begins with the unification of Italy in 1530. The unification also marked the beginning of bingo’s first ancestor called, Lo Giuoco del Lotto d’Italia. This genesis version is still played today in Italy. 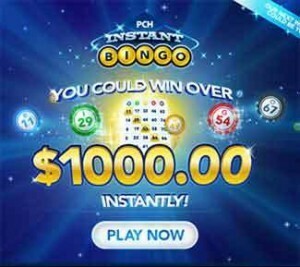 But Bingo Game has evolved and embarked into the Internet wave a decade ago, becoming a trendy online game faster than any other online games to win cash. Todays Bingo portals are quite popular! Indeed, online Bingo is one of the most popular types of gambling available today online. It’s played by million of people throughout the world everyday! Of course bingo is a lot of fun because you can win a lot of money as well. This after all is the reason that most people play. The fact that it is a game that gives you pretty good odds to win some good amount of money and this without leaving your house by playing Bingo Online. Some people say that the social aspect of the game has change with the arrival of online bingo! But Bingo portals owners have rectified the situation by introducing chat rooms so that the social aspects can be maintained and the online game can still be fun to play even online. With PCH Bingo at pchbingo.com The faster you call bingo, the more you can win! Payouts are shown on the right windows. Good Luck! « Enter KLG and Hoda’s Weekly Give It Away Sweepstakes!